There are several reasons for immigration to Australia, with making the best use of the existing employment opportunities there in being one of them. Anybody who wishes to do a rewarding job overseas can move to the nation with an Australia Skilled Worker Visa. The person with the visa in question will have a range of job options to select from even as the candidates with good experience, skills and knowledge are invited to the country by the Department of Immigration and Border Protection (DIBP). Below are some of the programmes that appear under the SOL for movement to Oz. • Independent points-based skilled migration programmes for the candidates who are neither nominated by a state nor territory government agency. • The Points Tested Visa is for those which are sponsored by the family. • Temporary Graduate visa which are under the Graduate Work stream. Below are the types of Skilled Worker Visa. Applicants under it must match the underneath basic requirements. This programme must have a skill in the list of the approved occupations for the skilled migration. • Under this programme, recent work experience is a must. • The applicant’s age must be below 50 years during the time of the application. • Also the applicant should have fluency in English. • It is also necessary to pass the point-based test. There are several benefits, and below are few of them. • Possibility to work and lead a life in Down Under indefinitely. • A chance to study in the country. • Get health benefits but you need to Enrol in Medicare. • Get an opportunity to apply for citizenship. • You can travel inside and outside of Australia. Skilled Visa (190) offers you Permanent Residence (PR) in the category of the Immigration Visa. However, you must be nominated by either Australian territory, or the State or a Government Agency after submission of the “expression of interest”. The minimum score that is needed for the Skilled Visa (190) is 60 points. When you receive the invitation letter for this state sponsored Visa, you must get nominated for a particular occupation that pertain your skills. You must also obtain the skills assessment score for that specific occupation. 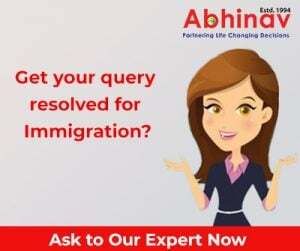 For the sake of getting Permanent Residence Visa (PRV), the applicant under the Skilled Regional Sponsored Visa who is unable to get the pass mark of 120 can simply seek sponsorship from either a specific State or Territory or seek for the help (sponsorship) from your eligible relative who is settled in Oz on a PRV. If you’re a skilled worker and keen to move to the Kangaroo Land, then you must be aware of Australia Skilled Worker Visa. There are mainly 3 types of skilled worker Visas–the Skilled Independent Visa, the Skilled Nominated Visa, and the Skilled Regional Sponsored Visa. You can select any of these to migrate to Down Under.